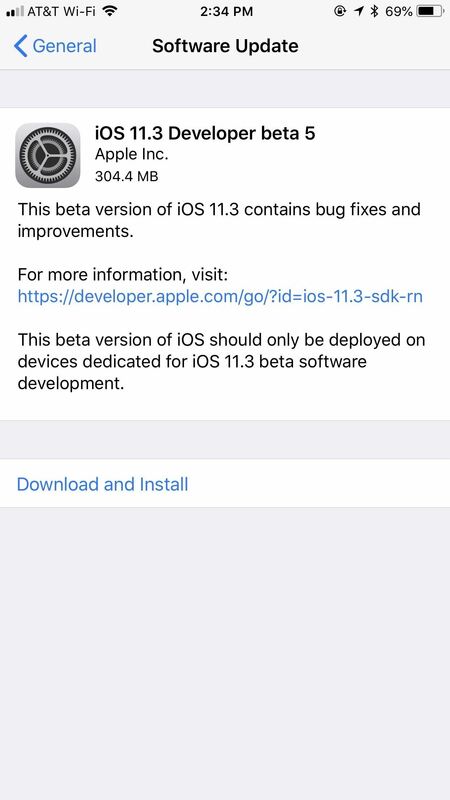 Apple released the fifth build of the iOS 11.3 developer and public beta on Monday, March 12. The update comes exactly one week after the March 5 release of beta 4, which mostly introduced bug and stability patches. At this time, this new beta appears to do much of the same. If you're a developer or public beta tester with a valid configuration profile, you can download the beta right now. Head over to "General" in your Settings app, then tap on "Software Update." 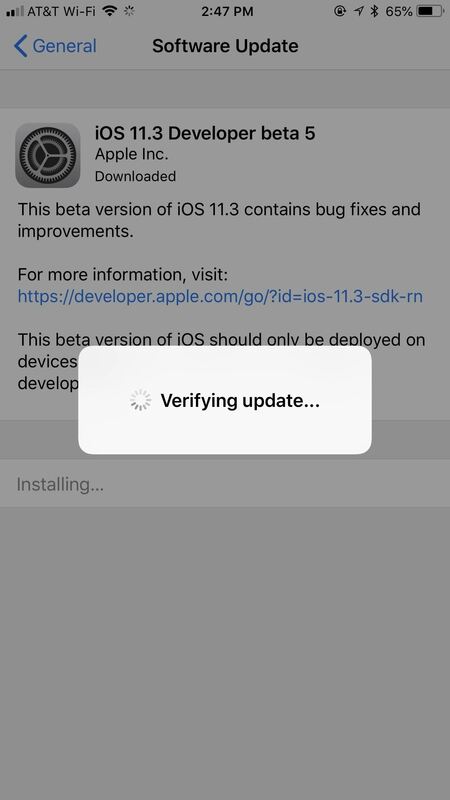 Next, follow the on-screen instructions to download and install iOS 11.3 beta 5 onto your iPhone. While there doesn't appear to be any major features added to this fifth beta, iOS 11.3 marks a significant update for iOS and Apple. 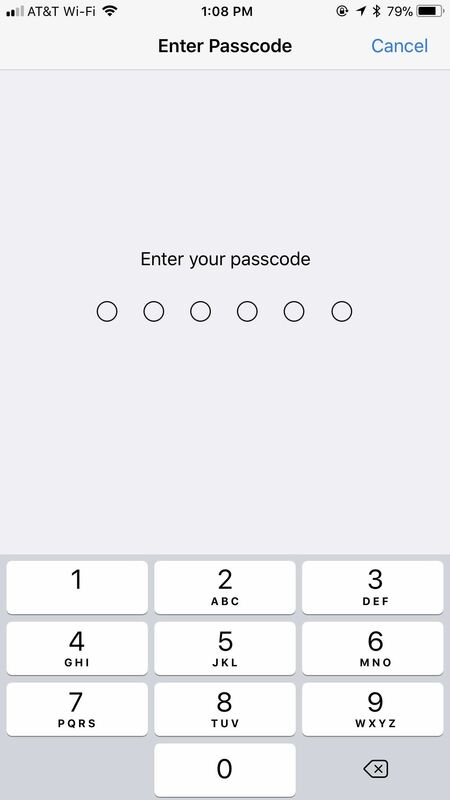 The company has added an assortment of new features, such as new Animoji for iPhone X, Messages on iCloud, and imported health records in the Health app, among many others. Apple also added increased battery health information as well as power throttling controls in response to accusations that the company was intentionally slowing down older iPhones. Apple did admit to throttling older iPhones' CPUs when they felt the batteries had degraded too far, but purely in the interest of the customer. Nevertheless, the iPhone-maker apologized for its lack of transparency and pledged to make things right with iOS 11.3. These increased controls are a step in the right direction, but Apple has a long way to go to mend many users' trust. Various bugs and glitches have hurt the reputation of iOS 11, so much so the company plans to scrap new features in iOS 12 to make room for major stability updates. While new features are fun, reliable software is undoubtedly more important.